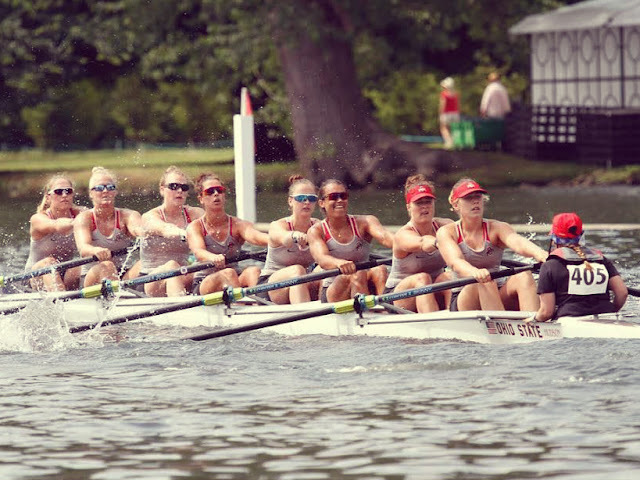 What follows is the second dispatch from senior Stephanie Williams of the Ohio State women's squad, after a very successful weekend of racing in England. Ohio State’s first week in Henley has been an eventful one. Henley Women's Regatta took place over the weekend, and every day, Henley-on-Thames got busier as we got closer and closer to race day. We started to really find our rhythm in our new lineups as we got into regatta mode. "We were very excited as we picked up our brand new blazers just before the event! "On Thursday evening, we attended a function for international crews racing at the women’s regatta. The event was hosted by the organizing committee and held at the River and Rowing Museum. We were very excited as we picked up our brand new blazers just before the event! Our blazers are the first ever made for our team, and the coaches kept the design a secret. (The coolest element of the blazers is the inside lining is Buckeye leaves.) All dressed up in dresses and blazers we went to the museum where we were introduced to the incredible women who run the regatta. What was really amazing was the number of people who had traveled from all around the world to compete at Women’s Henley—it truly is a great regatta. We got to mingle with other athletes and coaches, have some Pimm’s (non-alcoholic for the athletes! ), and explore the museum. Anyone who ever goes to Henley should definitely check out the River and Rowing Museum! The regatta started on Friday but both our crews did not have to compete until Sunday. We were lucky enough to have a tour of Leander on Friday. The club has such a tradition of excellence with so many elite athletes coming from the club. Complete with all their athletic facilities, they also have accommodation, restaurant, bars, and meeting rooms. The club also had an impressive rowing library, and many, many trophies. 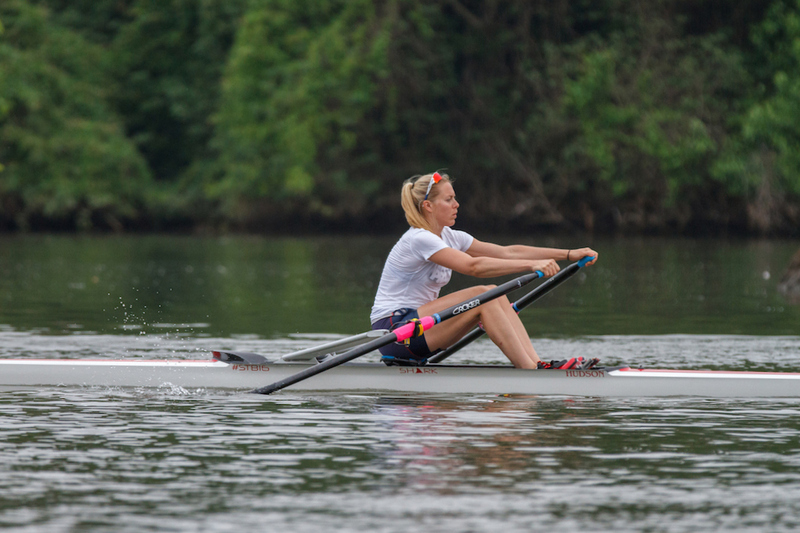 "Sunday morning came around and we were all very eager to finally get out there and race. "We continued to train before and after racing, seeking out our top speed. After practice we spent some time watching the other events race and getting familiar with how the racing works. Because there are two stations with no buoy line, we saw a lot of crews getting flagged and the rare crash. We also saw the psychological effect on crews who were behind in head-to-head racing, as 95% of the leading crews in the first half of the race went on to win. Sunday morning came around and we were all very eager to finally get out there and race. The weather was hot and the water was flat—a beautiful day for racing. Unlike racing back in the U.S., we were completely unsure of who our competitors are and what speed they could have. Our coxless four was our first race, with their semifinal against Durham University Boat Club. After a tough race, Durham took the win by 3/4 of a length. In the eight our semifinal was against Leander. The Leander boat was comprised of British athletes who study at different universities in the U.S. The race was a quick 1500m and the boats raced hard. The race was so quick, in fact, that we broke the course record, beating Leander by four lengths. This win meant that we progressed to the final a few hours later. 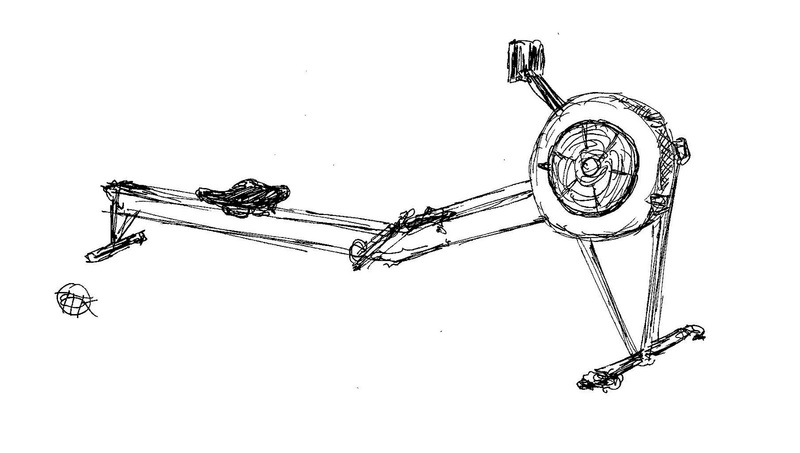 Our opponent would be a GB composite eight that are trialling for the U23 team this summer. "The verdict was a win to Ohio State by 3/4 of a length, and we broke our own record that we set in the semifinal. "We cooled off with a quick swim in the Thames, and refueled for our next race. With the crowds on the banks screaming and our coaches in the wooden umpire boat following us down the course, we battled it out with the GB crew all the way to the finish line for the Ron Needs Challenge Cup. The verdict was a win to Ohio State by 3/4 of a length, and we broke our own record that we set in the semifinal. 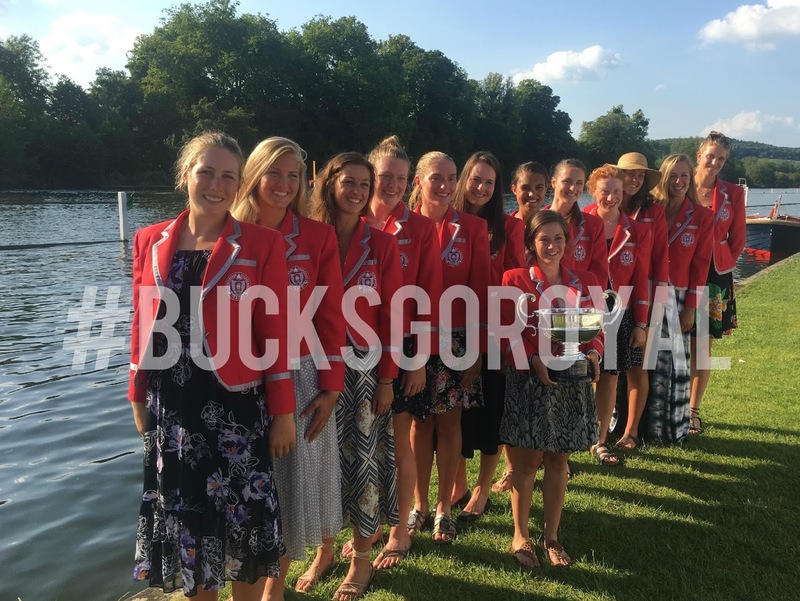 So, quite an impressive start to the Buckeyes' trip across the pond, with a new course record (twice) and a nifty bit of hardware from Henley Women's Regatta—stay tuned for more from Ohio State as they prepare for Henley Royal, and keep an eye on the hashtag #bucksgoroyal on Twitter and Instagram for updates along the way.